Abbey Roofing was formed in 1986, and are based in St Neots, Cambridgeshire, Abbey Roofing has built up a renowned reputation over the years providing good service, quality, value for money and prompt assistance. Abbey Roofing has a large client based system, where work is carried out in Cambridgeshire, Bedfordshire, Hertfordshire, Northamptonshire, Essex and all Home Counties, including London, Lincolnshire and Leicestershire. All clients are ensured to a full consultation before any work is carried out. The work that Abbey Roofing do, is so wide spread that it can range from the replacement of one tile, to a renovation of a whole new roof. 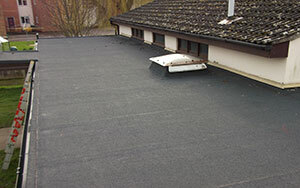 Abbey Roofing has also carried out projects, with conservation departments on local developments with councils. All work staff are fully employed by AR, with full CITB training given. All employees are kept up-to-date with current health and safety legislations.